Forty seven years of history in the Tulsa area. Chris Nikel Chrysler Jeep Dodge Ram FIAT Certified Pre-Owned. No flood damage, frame damage, or salvage titles. If you are looking for another reason, just ask your neighbor. They’ve done business with us. 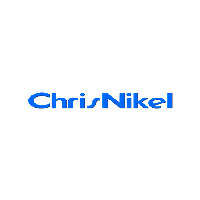 Chris Nikel Chrysler Jeep Dodge Ram FIAT	36.082572, -95.817385.